The ACT with writing includes the four subject area tests plus a 40-minute writing test. ACT results are accepted by all four-year colleges and universities in the US. The ACT is administered on six test dates within the US, US territories, Puerto Rico, and Canada. In other locations, the ACT is administered on five test dates. The basic registration fee includes score reports for up to four college choices, if you list valid codes when you register. The ACT originally an abbreviation of American College Testing college readiness assessment is a standardized test for high school achievement and college admissions in the United States. Colleges use the ACT and the SAT scores. The majority of colleges do not indicate a preference for the SAT or ACT exams and accept both, being treated equally by most admissions officers. The required portion of the ACT is divided into four multiple choice subject tests: English, mathematics, reading, and science reasoning. Subject test scores range from 1 to 36; all scores are integers. The English, mathematics, and reading tests also have subscores ranging from 1 to 18. (The subject score is not the sum of the subscores.) The composite score is the average of all four tests. In addition, students taking the optional writing test receive a writing score ranging from 1 to 36 (This is a change from the previous 2-12 score range). The writing score does not affect the composite score. The ACT has eliminated the combined English/writing score, and has added two new combined scores: The ELA will be an average of the English, Reading and Writing scores. The STEM will be an average of the Math and Science scores.All of the changes that have been listed for the writing score and the new ELA and STEM scores are effective starting on the September 2015 test. On the ACT, each question correctly answered is worth one raw point. Unlike the SAT, there is no penalty for marking incorrect answers on the multiple-choice part of the test. Therefore, a student can answer all questions without suffering a decrease in their score for questions they answer incorrectly. The first section is the 45-minute English test covering usage/mechanics and rhetorical skills. The 75-question test consists of five passages with various sections underlined on one side of the page and options to correct the underlined portions on the other side of the page. More specifically, questions focus on usage and mechanics – issues such as commas, apostrophes, (misplaced/dangling) modifiers, colons, and fragments and run-ons – as well as on rhetorical skills – style (clarity and brevity), strategy, transitions, and organization (sentences in a paragraph and paragraphs in a passage). The second section is the 60-minute, 60-question mathematics test with 14 covering pre-algebra, 10 elementary algebra, 9 intermediate algebra, 14 plane geometry, 9 coordinate geometry, and 4 elementary trigonometry questions. Calculators are permitted in this section only. The calculator requirements are stricter than the SAT’s in that computer algebra systems (such as the TI-89) are not allowed; however, the ACT permits calculators with paper tapes, that make noise (but must be disabled), or that have power cords with certain “modifications” (i.e., disabling the mentioned features), which the SAT does not allow. Standard graphing calculators, such as the TI-83 and TI-84 family, are allowed. Also, this is the only section that has five instead of four answer choices. The reading section consists of four ten-question passages, from the realm of prose fiction, social science, humanities, and natural science. The student gets 35 minutes to take this test. The science reasoning test is a 35-minute, 40-question test. There are six passages each followed by five to seven questions. The passages have three different formats: Data Representation, Research Summary, and Conflicting Viewpoints. While the format used to be very predictable (i.e. there were always three Data Representation passages with 5 questions following each, 3 Research Summary passages with six questions each, and one Conflicting Viewpoints passage with 7 questions), when the number of passages was reduced from 7 to 6, more variability in the number of each passage type started to appear. But so far, there is still always only one Conflicting Viewpoints passage. These changes are very recent and so the only reference to them so far is in the recently released practice test on the ACT website. The optional writing section, which is always administered at the end of the test, is 40 minutes long (increasing from the original 30 minute time limit on the September 2015 test). Essays must be in response to a given prompt. The prompts are about broad social issues (changing from the old prompts which were directly applicable to teenagers) and students must analyze three different perspectives given, and show how their opinion relates to these perspectives. The essay does not affect the composite score or the English section score. It is only given as a separate writing score and is included in the ELA score. No particular essay structure is required. Two trained readers assign each essay subscores between 1 and 6 in four different categories: Ideas and Analysis, Development and Support, Organization, Language Use and Conventions. Scores of 0 are reserved for essays that are blank, off-topic, non-English, not written with a no. 2 pencil, or considered illegible after several attempts at reading. The subscores from the two different readers are summed to produce final domain scores from 2 to 12 (or 0) in each of the four categories. If the two readers’ subscores differ by more than one point, then a senior third reader makes the final decision on the score. The four domain scores are combined through a process that has not been described to create a writing section score between 1 and 36. Note that the domain scores are not added to create the writing section score. Although the writing section is optional, many colleges do require an essay score and will factor it into the admissions decision (but fewer than half of all colleges have this requirement). Since our programs are completely customized, our students can start any time. We will put together the right program to take you from your start date to the day of your test, making the best use of time available. Additionally, you will have the freedom to schedule tutoring sessions on your schedule (including nights and weekends). For busy professionals with demanding hours and travel, this can be a significant advantage. For optimal results, students should plan to study for the ACT for 3-5 months. However, we can design shorter or longer-term programs as well. Do you want to score very high on your ACT test? 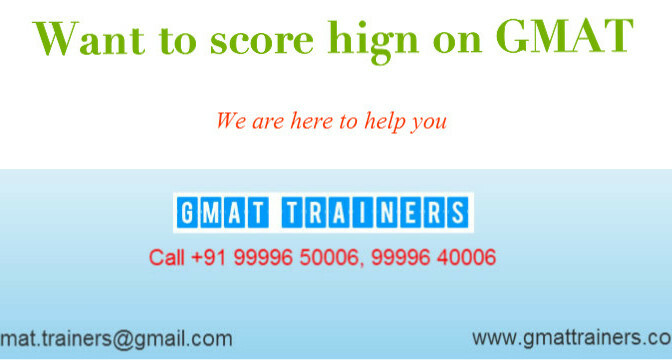 Are you looking for online tutoring for ACT? Are you planning to write your ACT examination? Willing to join best coaching for ACT test preparation?